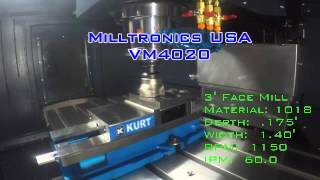 Milltronics, USA BR Series Bridge Mill overview. 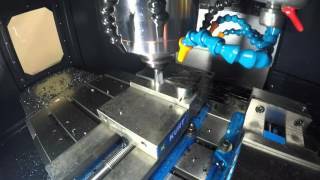 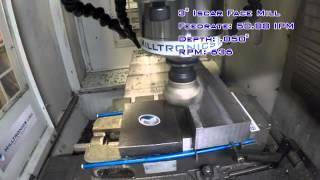 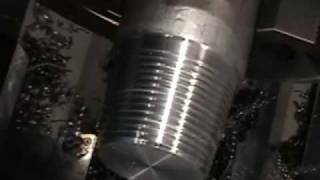 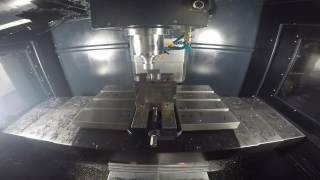 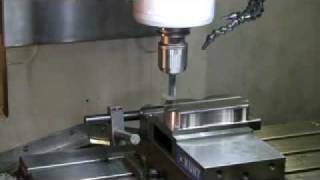 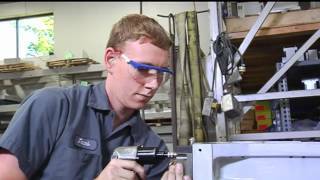 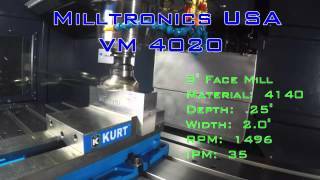 Milltronics USA VM6030XP with 9000 CNC control Drilling Demo Video. 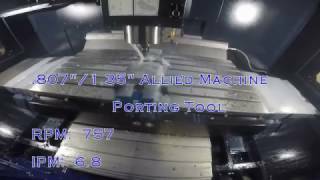 Allied, porting, drilling, thread mill. 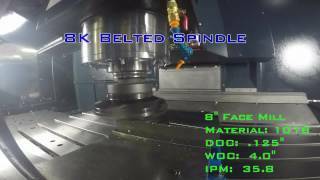 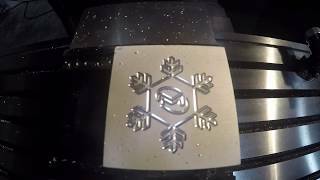 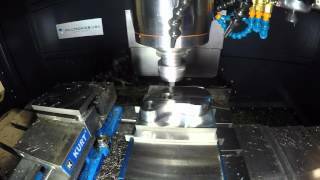 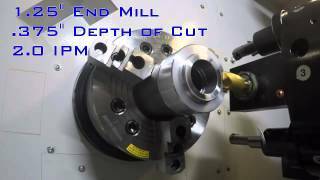 Milltronics VM6030XP with 9000 CNC control Belted Face Mill cutting demo. 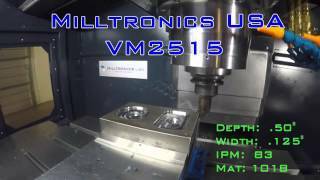 Milltronics is excited to debut its new VM Series! 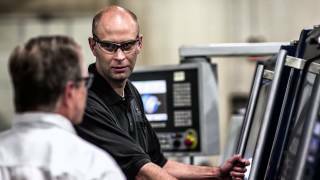 With our new 9000 Series CNC, the reinvented VM Series gives you everything you need to stay competitive. 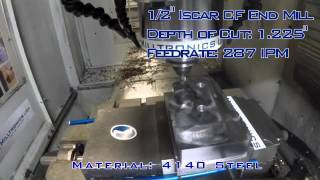 Milltronics CNC Machines VM20IL using Mastercam's Dynamic roughing routine and 1/2" ISCAR Chatterfree endmill to cut 1018 steel at 12,000 RPM and 400 IPM. 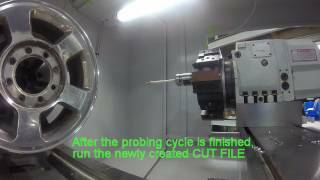 This video shows how the Milltronics Control uses a probe to digitize an existing part, such as a wheel in this case, to create a program, that can be used duplicate the machined part. 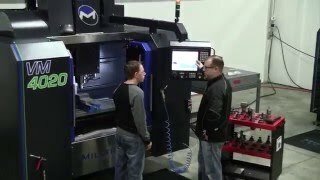 Milltronics ML Series flatbed lathe used for pipe thread repair; typical oilfield pipe thread repair applications. 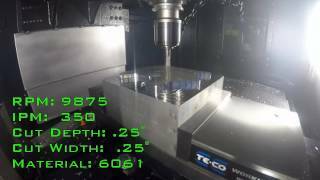 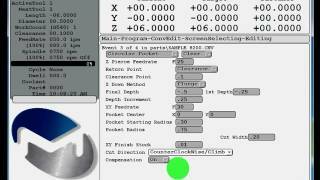 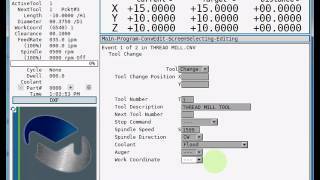 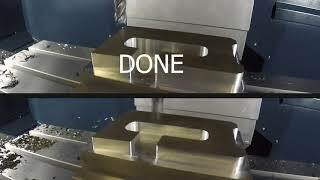 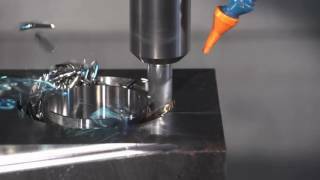 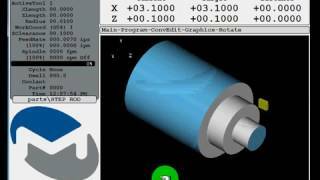 This conversational programming demo video using the Milltronics 8200B with solid model graphics, milling rectangular frame, milling a pocket and drilling a bolt hole circle. 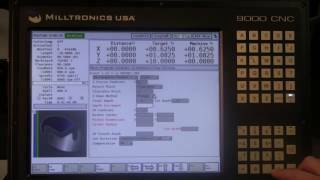 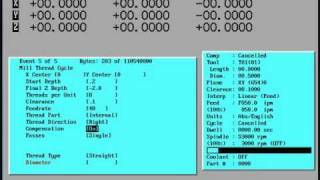 Milltronics walks you through the steps of loading and saving programs from a USB to your control using the 9000 CNC control. 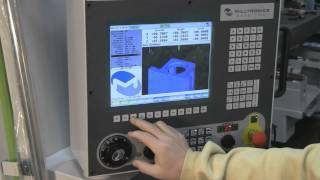 Milltronics walks you through the steps to setup your solid model stock size while using either conversational programming or NC code file on the 9000 CNC control. 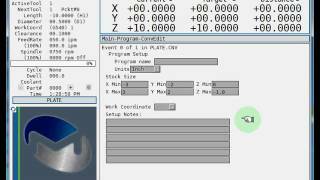 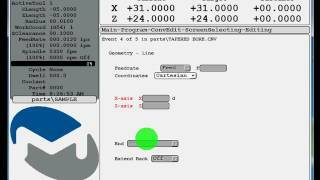 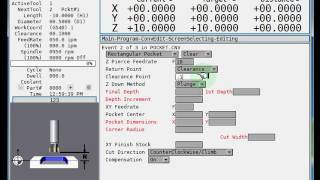 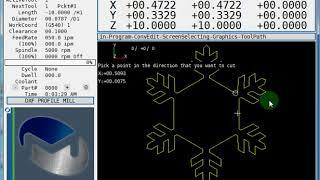 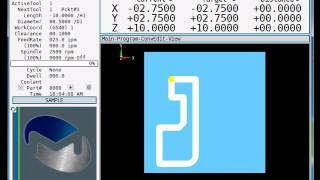 This program walks you through the steps of creating a rough turning cycle program on the 8200-B CNC control. 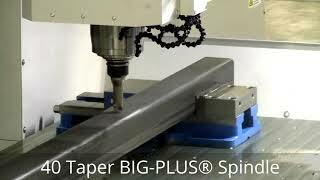 This may be performed on a SL slant bed turning center or ML combination toolroom lathe. 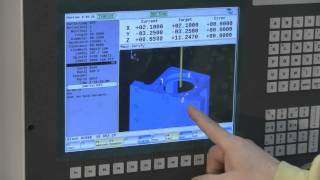 Milltronics walks you through the process of conversationally programming a grid of holes to be drilled on the 9000 CNC control. 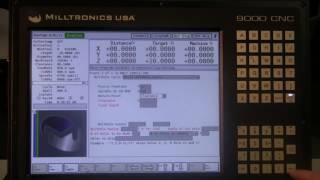 Milltronics walks you through the process of creating a conversational program to mill a pock on the 9000 CNC control. 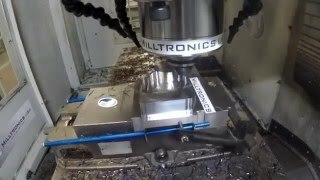 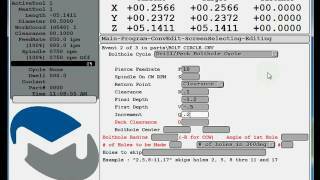 Milltronics walks you through the process of creating a bolt hole circle using conversational programming on the 9000 CNC control. 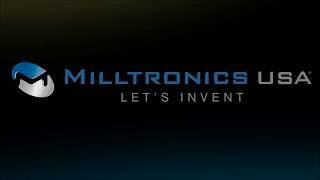 Join Milltronics' focus on collaborative partnerships, American ingenuity, and building tomorrow's future today.